The “cookie cutter” of hosting – shared hosting provides you with a little bit of everything for an attractive price. Unfortunately, this comes at the cost of performance and reliability. EndLayer does not provide this poor level of service – because we believe your website deserves only the best. Your website is an extension of you or your company – and you should give it a good home. How does EndLayer's Shared Performance Cloud (SPC) compare? #1: We offer fully-managed hosting and IT solutions. Most other bargain webhosting companies operate on the “fix it and forget it” model. They don’t offer reliable service or tech support, they don’t monitor their servers, and their networks are insecure. They set you up, and then leave you hanging. However, Endlayer proactively monitors, manages and secures your network, using our proprietary monitoring system. Our security and backups leave other hosting companies in the dust. (We offer multilevel firewalls designed to protect your website from intrusions and threats – click here to read more.) And we’re available 24/7/365 via live chat for service and tech support. #2: We specialize in speed optimization. Other hosting companies value quantity over quality. They use old, slow, overheated servers. And they host 250 to 500 sites on the same server. It’s like cramming 500 people into a single room. No one can move, and everyone gets very hot. Sites on these servers are very, very slow and take a long time to load – and usually, site visitors get fed up and go somewhere else. EndLayer is a whole different story. We’ve partnered with SoftLayer, an IBM company, to house our servers in fully monitored, state-of-the-art data centers that feature in-house HVAC, electricity and cooling systems. (No slow, outdated technology here.) With over 40 years of combined web development and IT experience, our team has one goal: focus on lightning speed and top performance 24/7. Oh, and we run a maximum of 12 sites on each server. That’s right. 12. #3: We offer tons of benefits that other companies don’t. Next generation cloud hardware? Fully managed, secure firewalls? Enterprise-class off-site backup? We’ve got them all. We’re code ninjas, too – our team has decades of development and design experience as well as IT expertise. And don’t forget our 24/7/365 customer service and tech support. It’s the EndLayer difference. 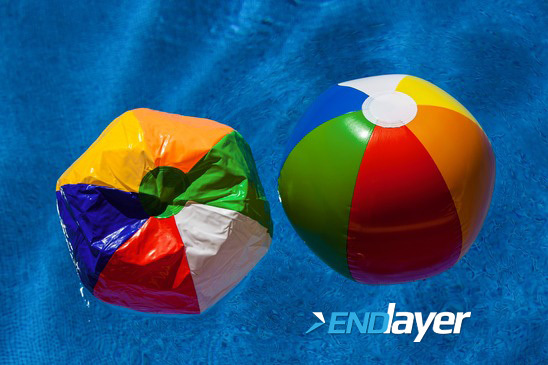 If you're looking for high performance shared hosting and a company you can count on, EndLayer is your best bet. Give us a call today, we'd love to hear from you.